A master's student in the University of Arkansas athletic training program was awarded a grant to cover the expenses of attending a conference in late January. 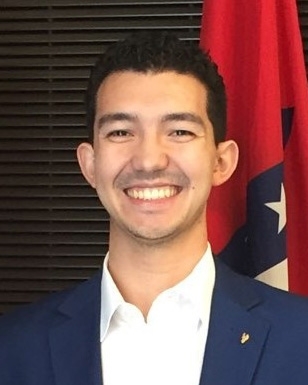 Mitchell G. Skiller also is vice president of the Razorback Athletic Trainers' Association and treasurer of the Arkansas Athletic Training Student Association. Skinner represented all athletic training students in the state of Arkansas at the iLead Student Leadership Conference of the National Athletic Trainers' Association, held this year in Irving, Texas. The state student association covered his travel, food and lodging. Skinner found the conference "full of workshops and lectures hosted by NATA and Strategic Alliance figures." Attending allowed him to enhance his leadership skills and expand his network of fellow students, mentors and key leadership from across the country, he said. The athletic training program is part of the Department of Health, Human Performance and Recreation.